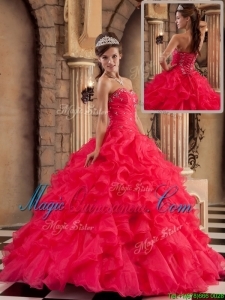 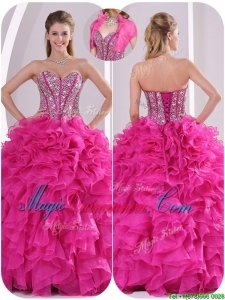 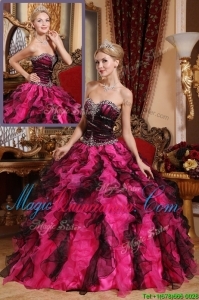 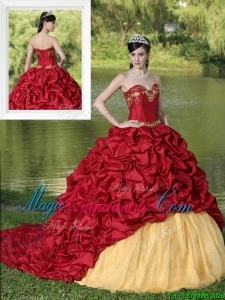 MagicQuinceanera' huge selection of quinceanera dresses includes gorgeous strapless dresses, halter tops and spaghetti-strapped options. 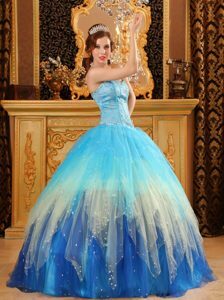 Every item in our catalog has been hand-picked by our resident experts for its beauty, functionality and ability to make you the belle of the ball-after all, it's your special day. 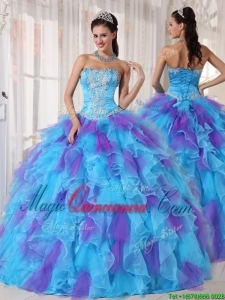 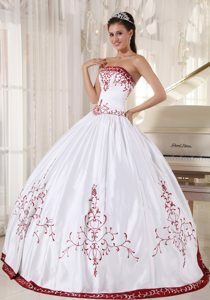 We have high-waisted quinceanera dresses that flatter your figure by draping just right over your curves. 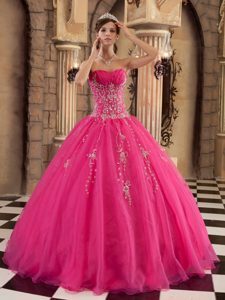 Check out our cheap floor-length quinceanera gowns that feature jewel-encrusted waistlines and low backs to create a stunning look. 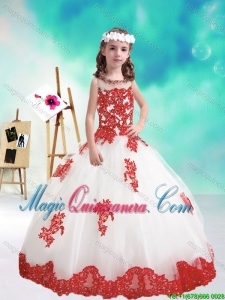 You'll look like a princess on your special day with a flowing tulle overlay on a long, flowing skirt that barely brushes the floor as you strut around. 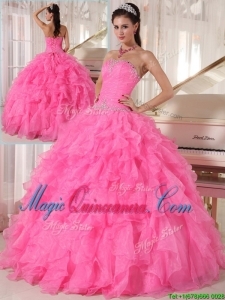 Whether you're looking for a full, flowing skirt or a sleek, slinky gown, you'll be able to get exactly what you want with Magic Quinceanera. 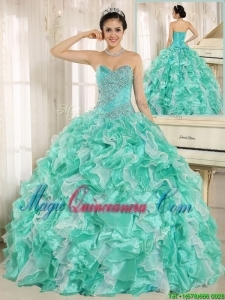 Since we keep dozens of gorgeous quinceanera gowns in stock and have a sizeable online catalog, creating the perfect look for your special day is easy and fun.